Bagna Cauda is a traditional Italian vegetable dipping olive oil served warm. It can also be enjoyed with crusty bread. Use it on pasta or to make garlic bread. Heat on the stove or in a small ceramic chaffing dish. 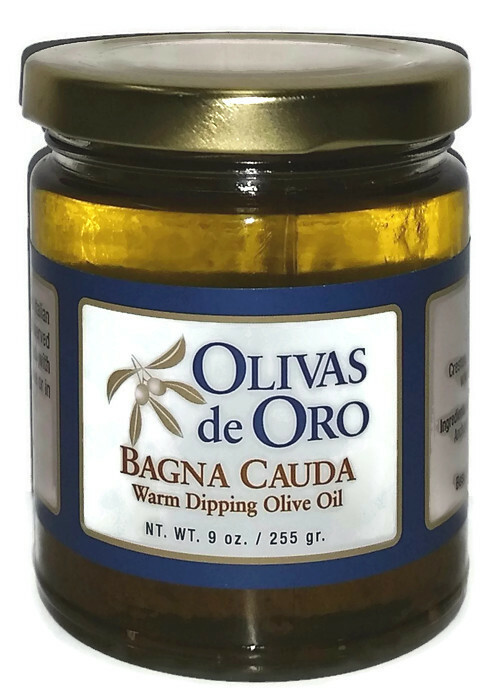 Ingredients: Olivas de Oro Mission Blend Extra Virgin Olive Oil, garlic, anchovy paste, oregano, black pepper.